Introducing to you, a revolutionary platform that will give you a better experience in choosing a better and more hospitable shelter for you. We are the next-generation marketplace for online, short-term rentals and tenant smart-matches, which will improve the options available to you in choosing a dwelling. We will create a platform that provides more residential options, with 0% commissions, lower network costs, and better integrity than similar platforms. We will build this platform on the blockchain technology, which will provide you with a secure and faster solution. We will make your experience even better because you deserve to get it. We realize that you are currently having difficulty in choosing a temporary shelter when you are on vacation or traveling, or you have found a suitable service but the commissions charged to you are too large to burden your travel expenses, not to mention you do not get the hospitality of the shelter owners you select and many other problems. 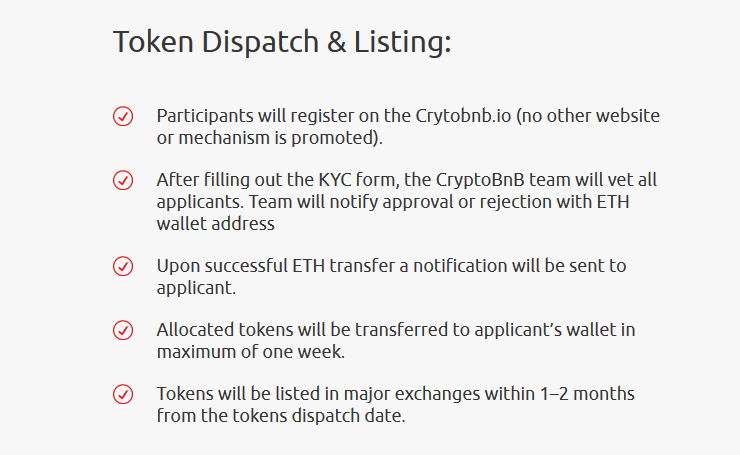 With those problems, we decided to create a revolutionary platform, which will give you a different experience, we call this platform with the name “CrytoBnB”. Along with blockchain technology, we also develop AI (and artificial intelligence) systems and big data that will help you to find the desired accommodation in the most efficient way. 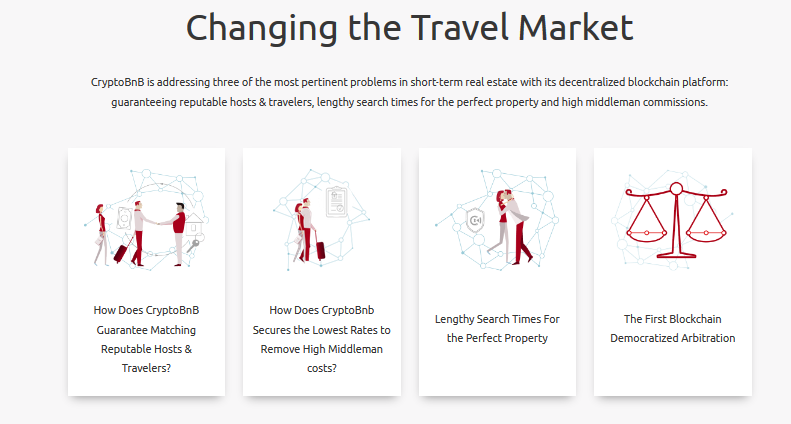 We will allow shelter owners and users to tap into a huge market, where users can define their own temporary shelter according to their travel expenses.We will integrate blockchain technology with AI Algorithm, which will result in an accurate match between homeowners and appropriate short-term tenants, with minimal transaction fees. will design this platform with a token as a means of payment, in this way we will ensure that every user or occupant will benefit equally. 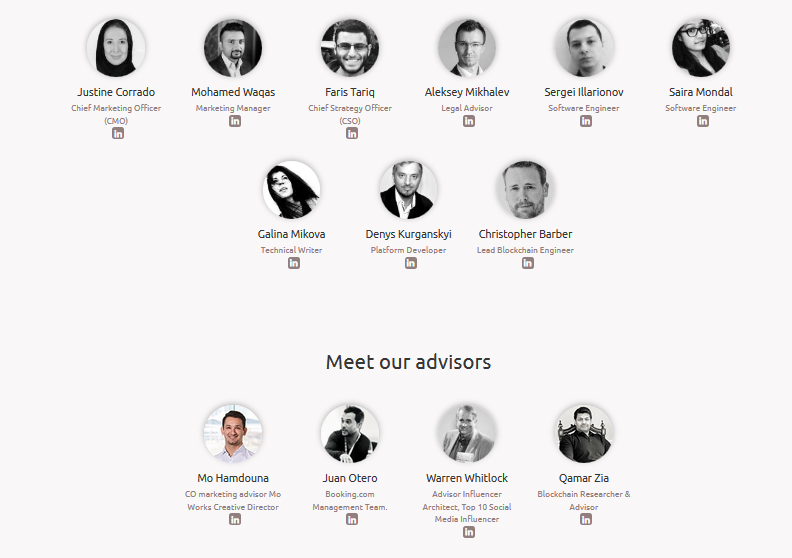 We designed this platform to run using blockchain technology as the basis for our platform development. Because from the first appearance, blockchain comes with the offer of fast and secure online transactions and supports all types of data and cryptocurrency. Blockchain technology uses a system, where every transaction is recorded and can not be changed forever, so transaction security and transparency can be maintained and reduce the chance of cheating data. We prefer to use blockchain technology because this technology is more secure than the usual technology today. Unlike conventional technology, blockchain technology does not require a third party, so it’s safer and cost-effective. And blockchain technology is more minimal system error, so this technology is better and reliable. We strive to make this platform meet the current market demand. which is where Booking.com or other popular platforms still have loopholes, we will resolve them on the CryptoBnB platform. With the features available, we are confident that we can make this platform a leader in terms of innovation and technology. We will grow and build this platform with a more transparent and better system. CryptoBnB will try to address the technology gap in the current short-term lease platform with blockchain technology. With this opportunity, we invite you to enlarge this Platform, to reach the Broader Society. 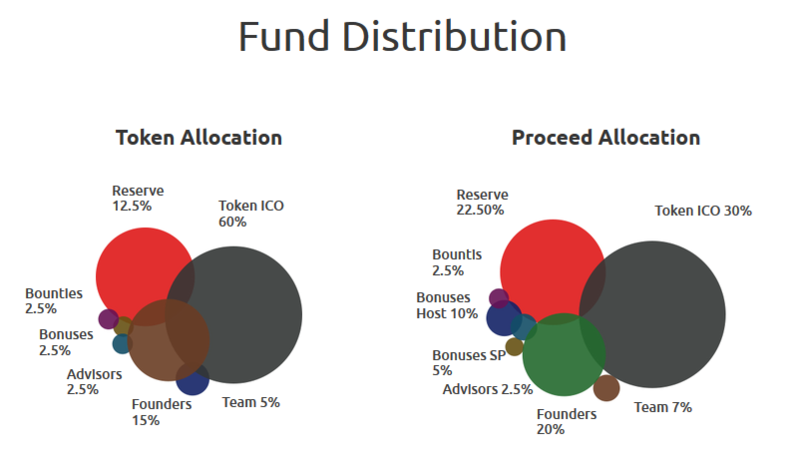 We will release the Token under the name “CKey Token ”, here is the data.